Location: Lower Mainland BC Wrong engine (but it is a hemi). Car probably came with a 354 (or 331 ??) Spitfire poly. Location: So. California DeSoto & Chrysler motors are as different as Plymouth and Buick (almost). You can't swap stuff around like that. Also, this car is dressed up like a '56 New Yorker so it would have come with a 354 hemi motor originally, not a poly. 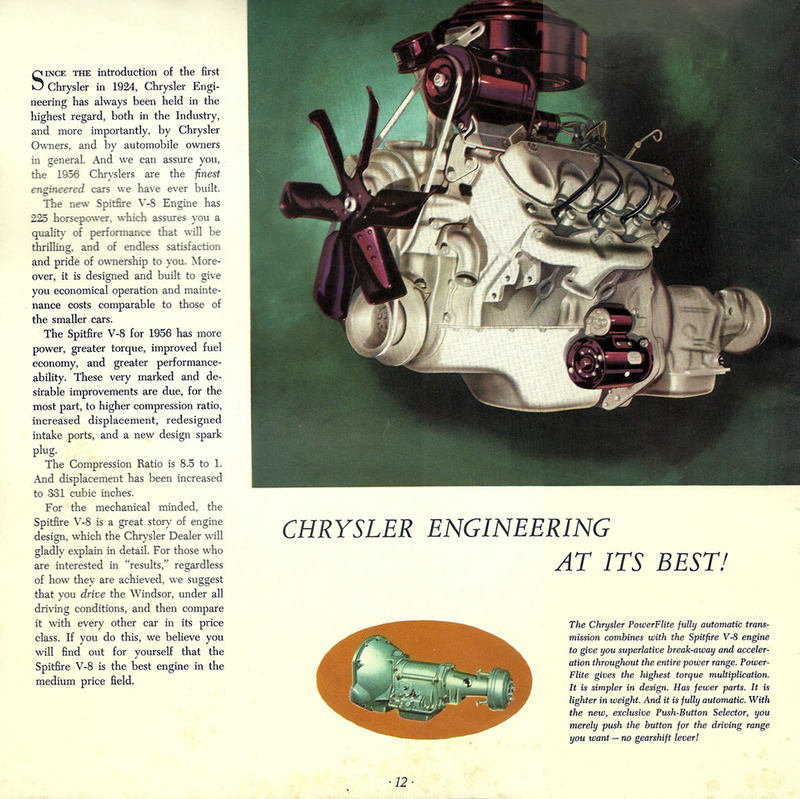 Note that the DeSoto motor is a 330, not a 331. Location: Muskego, WI Car looks pretty nice, but I just think the '56 Chryslers (other than the Imperials and 300s) just look so boring with that grill.